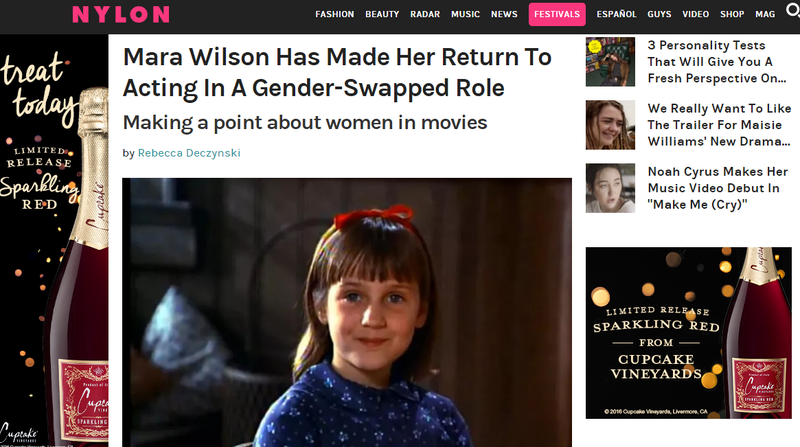 We were so honored that Mara Wilson played a role in our first installment of SWAPPED. Read the full article here. 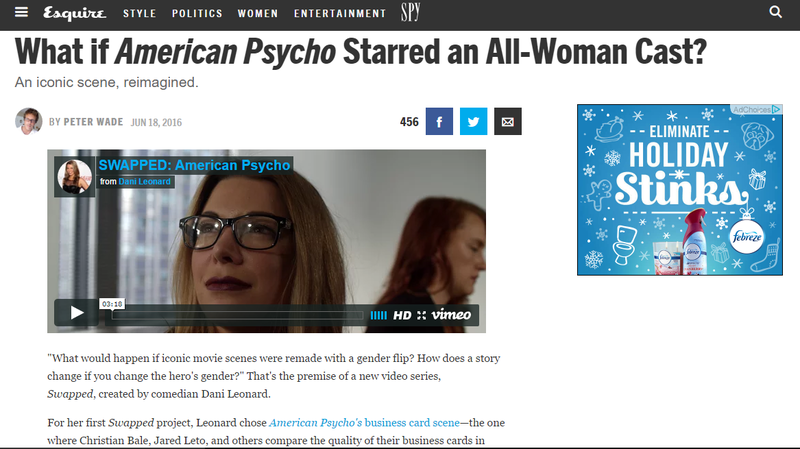 Esquire: What if American Psycho Starred an All-Woman Cast? 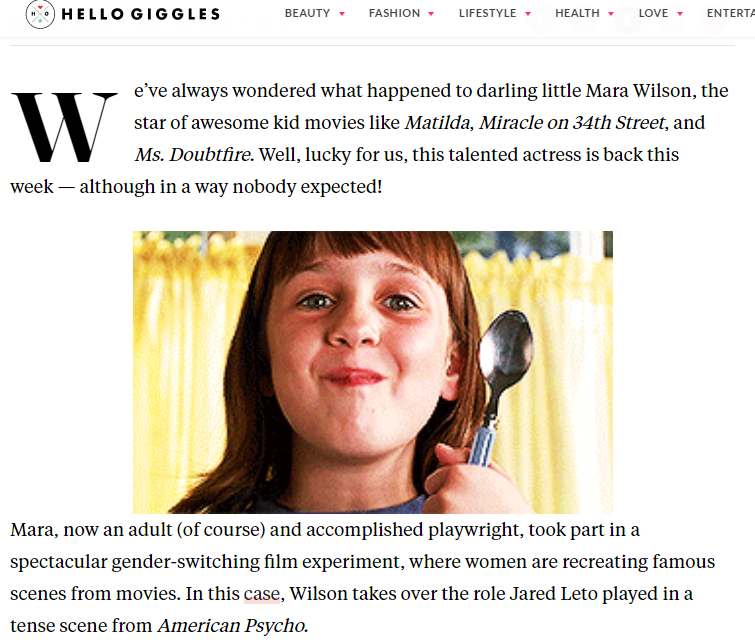 A big thanks to Esquire for continuing the SWAPPED conversation! Read the full article here. 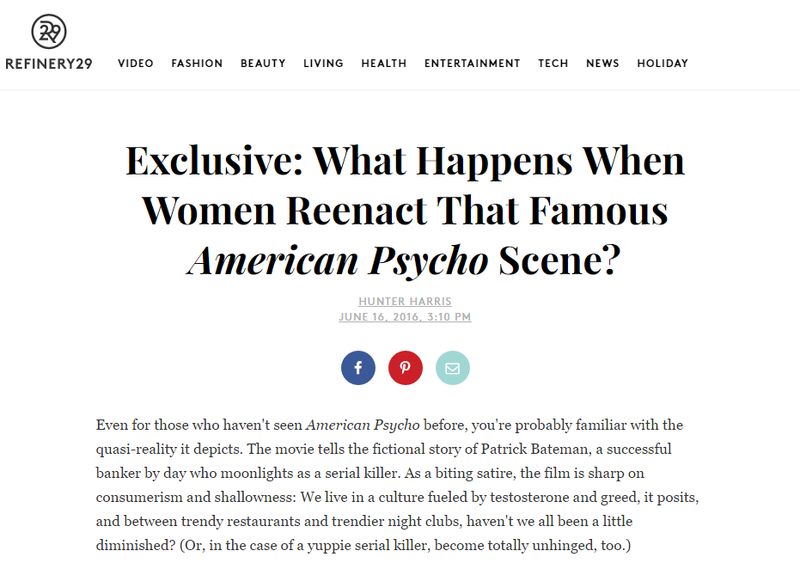 Refinery 29: What Happens When Women Reenact That Famous American Psycho Scene? Earlier this year, I had the pleasure of talking to Hunter Harris from Refinery 29 about SWAPPED. 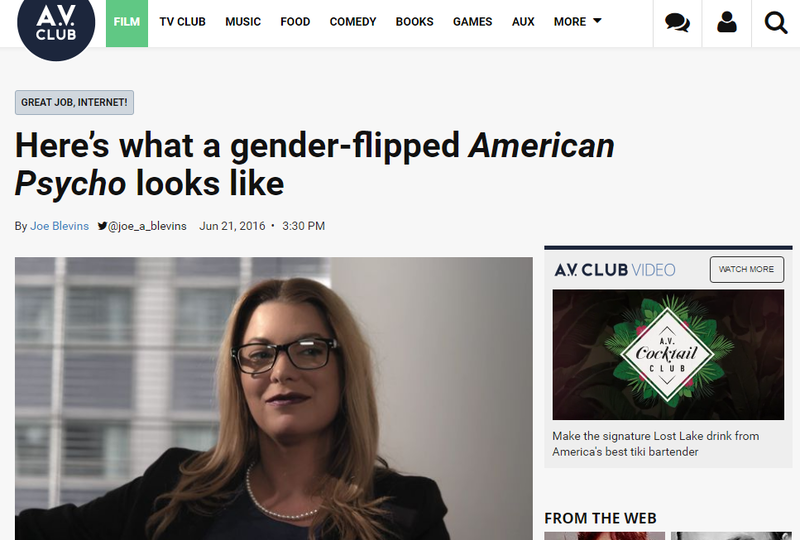 The more we can address the lack of gender parity in the industry the better. Thank you, A.V. Club, for continuing the conversation about SWAPPED. Join the conversation on twitter by using #SWAPPED.